Never one to be late to the game, Facebook has made moves to edge out both YouTube and Patreon as an earning platform for content creators. Facebook is now in testing phases on implementation ways for creators not only to connect with their fans, but to engage and monetize the relationship — similarly to the YouTube and Patreon platforms, which have proved to be effective. Facebook’s new Creator app, which launched for iOS in November, will also be available for Android soon, and currently in development is a closed beta program in which influencers can utilize it and tailor its features to their particular business model and fanbase. Perks like leaderboards for top engaged fans and Rights Manager tools for the removal (or monetization) of unofficial copies of their videos are among the updates currently in beta. Perhaps the most notable development is the subscription option Facebook may now be offering — it will allow some users to sign up for a monthly subscription, or patronage payment (via Patreon) for their favorite influencers in exchange for membership that includes exclusive content and other rewards. 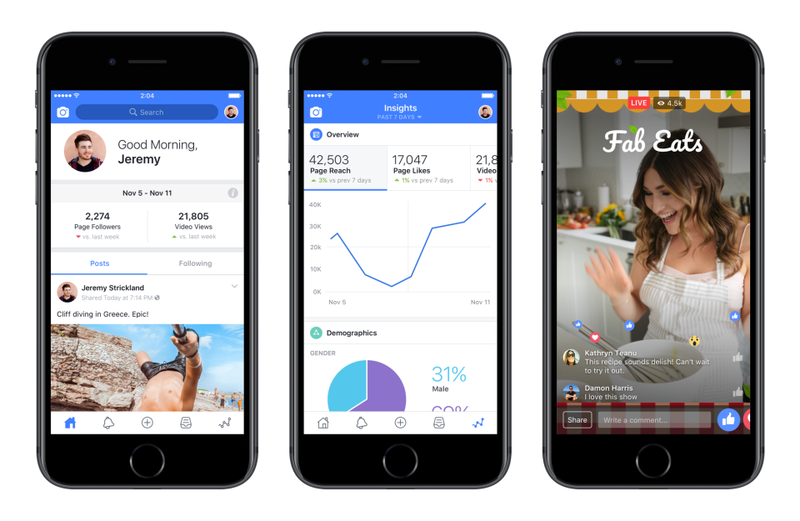 Facebook will now enter the world of in-app purchases, enabling Fans to sign up for a $4.99 a month subscription. In the testing period, Facebook will forgo their cut, although the App Store and Google Play still retain their typical 30%. This means that influencers will receive $3.50 per month, per subscriber. Instead of allowing creators to set their own pricing, Facebook seems to be aiming for the mid-tier price point, not only for its accessibility, but its simplicity. Custom pricing is in the works, but the currently deployed pricing option remains fixed, and not taking a cut in the beta phase reinforced just how much Facebook wants to get creators onto their platform from their competitors. Next month, Facebook will formally launch with ten influencers across the US and UK. Already in place is a Facebook-designed tool that allows creators to showcase a portfolio of not only their capabilities but of their fanbase. This will expose them to businesses who are in search of influencers with particular strengths and audiences. The tool is similar to Niche, a creator-sponsor deal broker that Twitter acquired in 2015 for around $50 million. Facebook is also refraining from taking a cut in the testing period as well. In the future, Facebook could potentially add a 5-45% cut when the features are officially deployed. The 45% cut of ad break revenue already in place illustrates this spread. For game streamers, Facebook also has a direct, one-time $3 tipping feature that it’s currently testing. Game developers have proved that a small percentage of users (deemed “whales” in the space) spend most of the money the games earn. This new push is a means to provide content creators more sustainable and lucrative ways to earn from their most significant fans — effectively moving from passive fractional income from ad units, to more direct avenues of earning.